I was very timid when it came to trying gold (or silver) on my nails. I always thought it was too "bold." 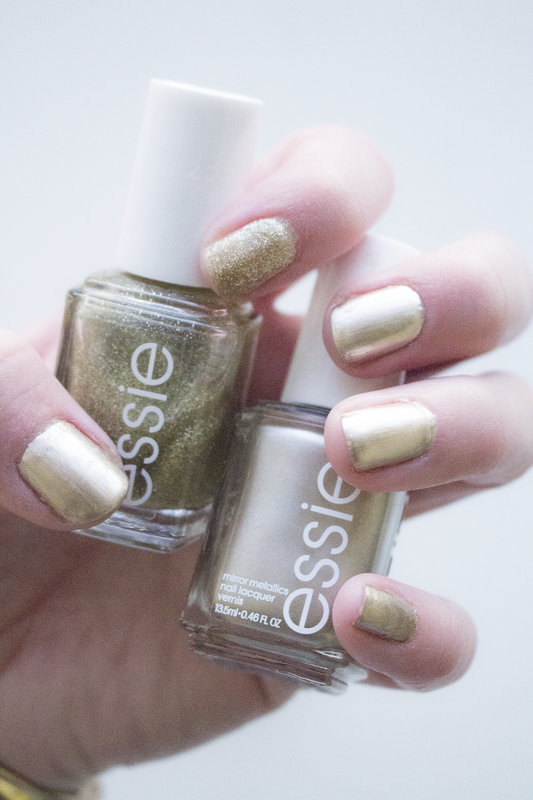 However, I have come to find out that gold nails are one step above a neutral manicure…not too bold at all. My favorite gold polish, "Good As Gold," goes on very smooth and I only need to apply one coat. I wanted a manicure that was subtle but still fun, that's why I added the "dramatic" pointer finger sparkle. I recommend using one of two gold sparkle products, "Golden Nuggets" or "Summit of Style." Both look great, however I chose "Golden Nuggets" because it applies more evenly. 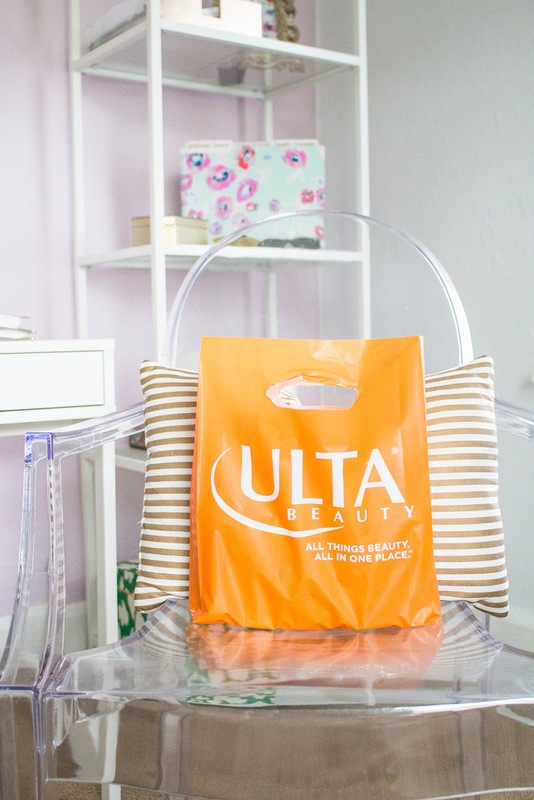 1 // As always, start with your base coat. 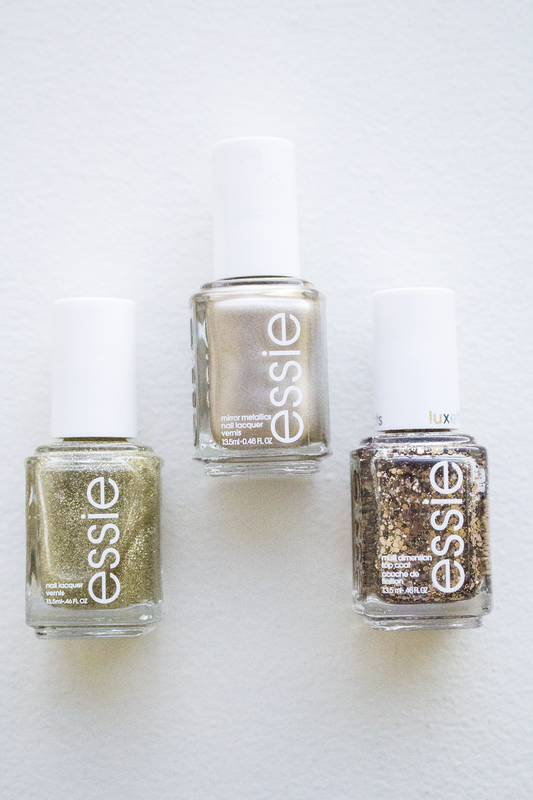 2 // Choose a smooth, liquid gold color for all of your fingers except your pointer. Well, what do you think? 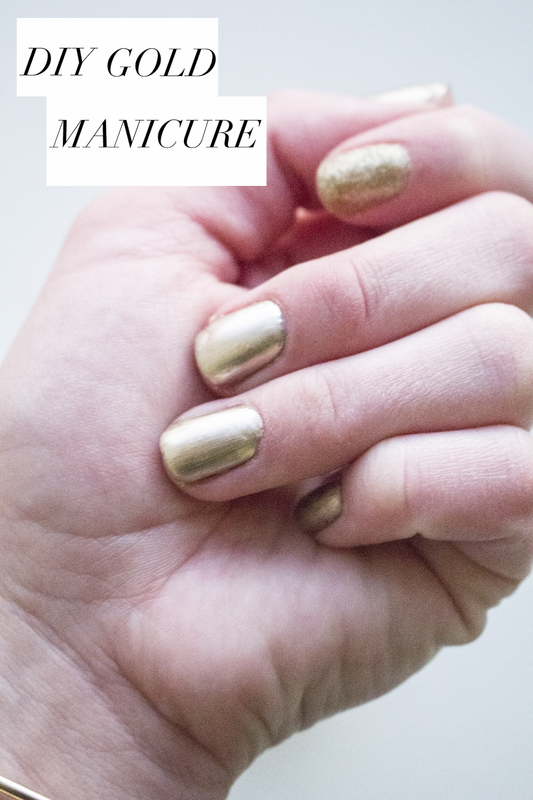 I am obsessed with gold so this manicure is right up my alley, but it is definitely a change from what I normally do. Do you dare to go gold?